Wat is dit voor site? Wij zoeken de goedkoopste boeken op internet. Selected Works of Merton H. Millervonden we het goedkoopst op Bol.com voor €85.99. We hebben gezocht in nieuwe en tweedehands boeken. Rechtsonderaan de pagina kan je het boek direct bestellen	via Bol	.com. Widely regarded as one of the founders of modern corporate finance, Merton H. Miller was awarded a Nobel Prize in 1990 for his work in the theory of finance and financial economics. 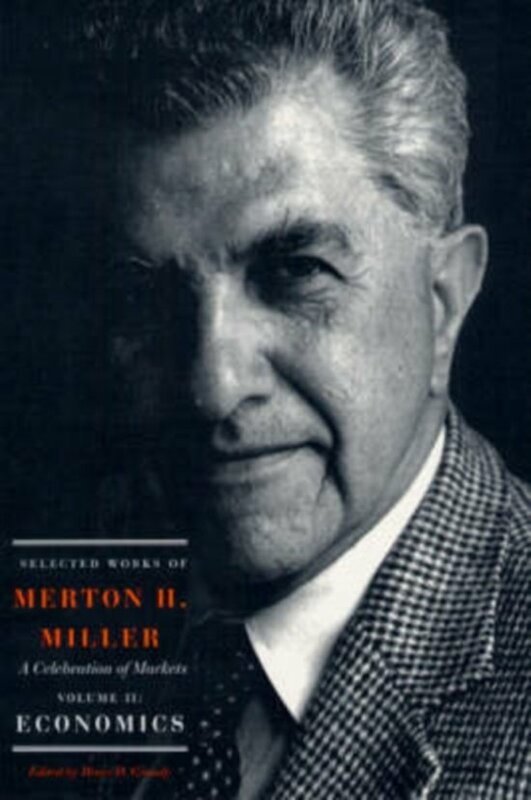 Selected Works of Merton H. Miller gathers together in two volumes a selection of Miller's most influential contributions over more than fifty years of active research. A common theme running throughout both volumes is Miller's conviction about the utility of market-based approaches to topics as diverse as dividend policy, bank regulation, the structure of securities markets, and competition between research universities and teaching colleges. Miller was perhaps best known for a series of highly influential papers he cowrote in the 1950s and 1960s with fellow Nobel laureate Frnaco Modigliani that advanced a set of capital structure theorems later dubbed the M and M propositions. Four of these papers are reprinted here, together with important later work by Miller in macroeconomics, corporate capital structure, management science, asset pricing, and the economic and regulatory problems of the financial services industry. Diverse and innovative, the papers in Selected Works of Merton H. Miller will interest students and practitioners of economics, finance, and business, as well as policymakers responsible for market regulation.